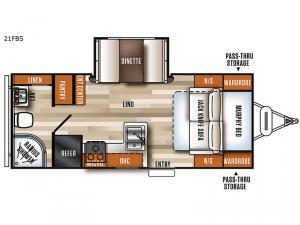 It's time to load up and head out in this Vibe Extreme Lite travel trailer model 21FBS to your favorite destination. Just imagine relaxing on the jack-knife sofa during the daytime, and sleeping on the Murphy bed at night. You get two spaces in one! The kitchen offers the appliances necessary to make meals, a stainless steel package, Thermofoil wrapped countertops, a decorative backsplash, and a pantry for your dry goods. And the rear bath allows you to skip the campground facilities. 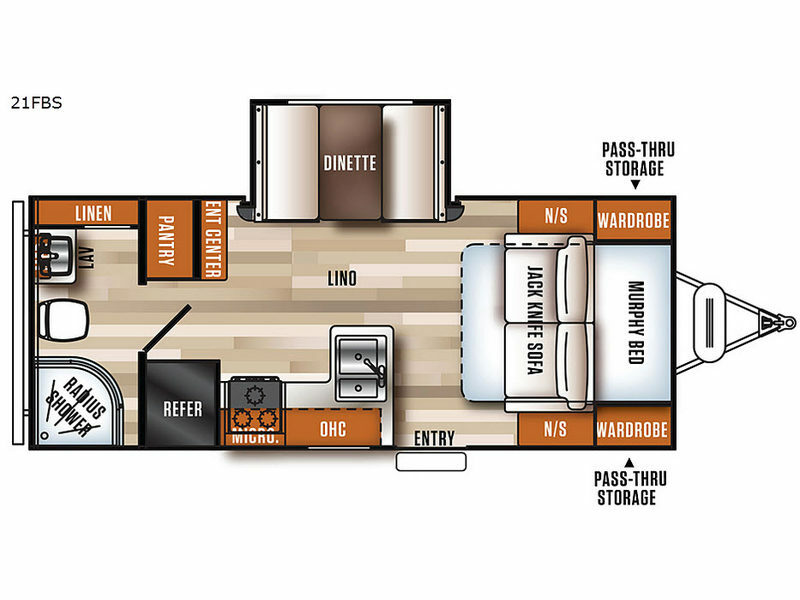 Come see how this model will make camping comfortable for everyone! 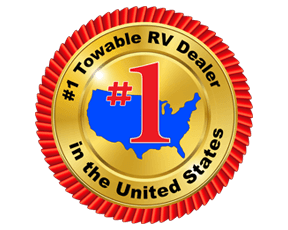 Are you ready to pack a whole lot of fun in a lightweight travel trailer? Well, come choose a Forest River Vibe Extreme Lite! You will love the stylish tri-tone gel coat fiberglass with upgraded graphics package, and the extra-large aluminum-framed pass through storage area for your outdoor gear. On the inside you will find that each model offers a Bluetooth MP3/DVD/CD/FM with surround sound, and upgraded residential style carpet. The Limited Showstopper features include a USB port package, an LED awning light, a touch-screen remote, and so much more! Choose your favorite model today!